Intake Forms: Print and Fill before you visit to save time! Placental stem cell therapy is now regularly available in Lahaina, Maui. Placental tissue is harvested from pre-screened mothers who voluntarily donate their placenta after scheduled c-section. Placental tissue is then harvested for stem cells which have regenerative potential. Maui Acupuncture offers semi-private weekly learning classes where you can learn all about stem cell therapy. Call 1-808-387-9647 to inquire about placental stem cell therapy and sign up to learn more today! What are some of the differences between different types of stem cell injections? Totipotent cells, also known as embryonic stem cells, have the greatest potential to become any cell in your body, but may also include the danger of turning into something unwanted such as a tumor. For this reason embryonic stem cells are currently banned in the USA for general medical use. Multipotent stem cells, such as adipose (adult stem cells), are safe but much more limited in their ability to differentiate into cell types such as cartilage and neurons than embryonic stem cells. Bone Marrow stem cells have more pluripotent qualities than adipose, but are extremely painful to procure via spinal tap. We believe the most safe and effective stem cells come from a third type known as placental stem cells. Placental stem cells are young and vibrant stem cells. There is no moral dilemna with placental stem cells as no children were harmed or aborted as a result of their procurement. Aside from greater potency, and their youthful status, placental stem cells are often delivered to the patient in much greater quantities than other forms of stem cells popularly used today. Stem cells can also be gathered from your own adipose tissue, although this is not a service that we offer. Often you'll get 10 to 20 x more stem cells, and stem cells that are newly born rather than being as old are you are! There is also some evidence to support that placental stem cells may be able to differentiate for a longer period of time than adipose stem cells. The healing duration time for placental stem cells is often quoted as 9 months to 1 year, whereas adipose stem cell therapy may need to be repeated every 30 to 90 days. You might think of placental stem cells as being sort of a hybrid between adipose and embryonic, because placental stem cells are multi-potent but with pluri-potent tendencies. Placental stem cells are safe and allowed for medical use in the USA. Placental stem cells have the potential to differentiate into skin, cartilage, cardiac tissue, nerves, muscles, and bone. After years of research Regan Archibald of East West Health in Utah has seen up to 95% success rates with placental stem cell injections, when combined with acupuncture, to cure knee pain (inlcuding some "bone on bone" VERY difficult cases). Stem cells and acupuncture go hand in hand. In fact Regand Archibald of East West health has found that adding acupuncture and Oriental medicine can increase the chance of stem cell success by up to 15 percent. Would you rather have an 80% chance of success, or a 95% chance of success? It makes sense to include acupuncture, herbal remedy, nutrition, and lifestyle into your total healing plan. At the very least acupuncture has been proven to increase circulation, which can be essentially in jump starting your healing. For instance, one research study suggested that acupuncture facilitates the delivery of stem cells from the spine to other parts of the body. Helping to stimulate stem the circulation of cells is just one of the ways that acupuncture and Oriental medicine can help you heal faster and in a more harmonious way. Diet and lifestyle suggestions from Oriental medicine can often provide insight as to the root of the problem so its reoccurance can be prevented. We offer semi-private classes (RSVP required) to discuss how stem cells can help you to live a happier and more healthy life. You can learn more about stem cell therapy from Justin Hays (licensed acupuncturist and Master of Oriental Medicine). If you decide that stem cell therapy could be right for you, we'll review for final approval before scheduling your placental stem cell therapy in our Lahaina, Maui office. RSVP is required, please call 1-808-387-9647 to speak with Justin or visit Click here for Stem Cell Class Schedule, RSVP, . Delivery of stem cell is by injection or I.V. as pertaining to each individual case. We suggest you sign up for a private class for more details. Currently most insurance usually will not cover the stem cell procedure. 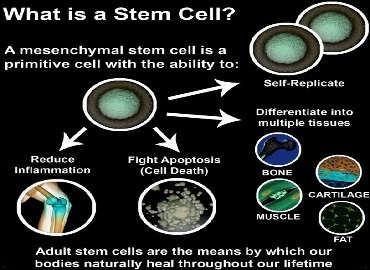 Therefore stem cell therapy is cash pay only. The price for a stem cell procedure with 1 unit (1 cc) of placental stem cells starts around $4500. During the same procedure, additional units are available for $1800 per unit. For hips 2 units is recommended, while knees are recommended for delivery of 1 unit each. For more information please inquire and schedule a private class at 1-808-387-9647 today. Financing and need based discounts may be available please schedule a private class for details. The advantage of not being regulated by insurance is that we have the ability to choose the best stem cells from the best supplier. Our stem cells are third party tested to ensure viability. Stem cells arrive cryo-frozen and are maintained at -80 degrees temperature. The information on the web site does not constitute medical advice, and you should always consult your doctor for medical advice before taking any action to do with your health. By using this web site you agree to our terms and conditions of use.